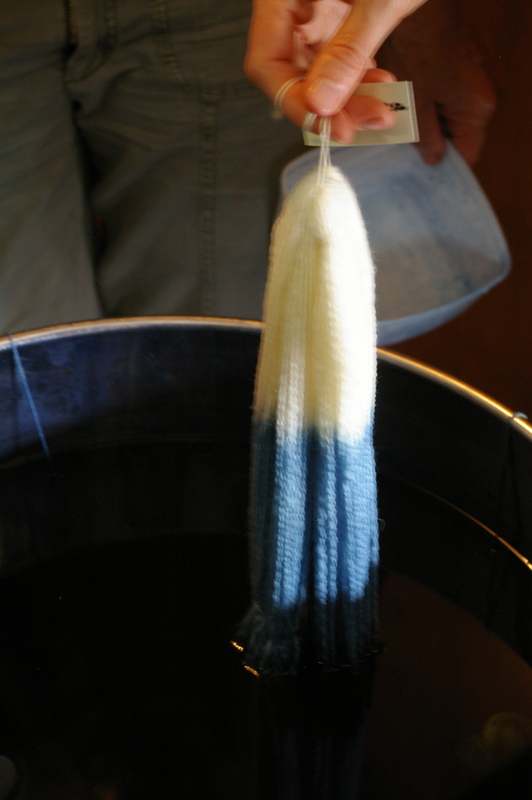 The final guild dyeing session for the year was focused on indigo and alizarin- so exciting! 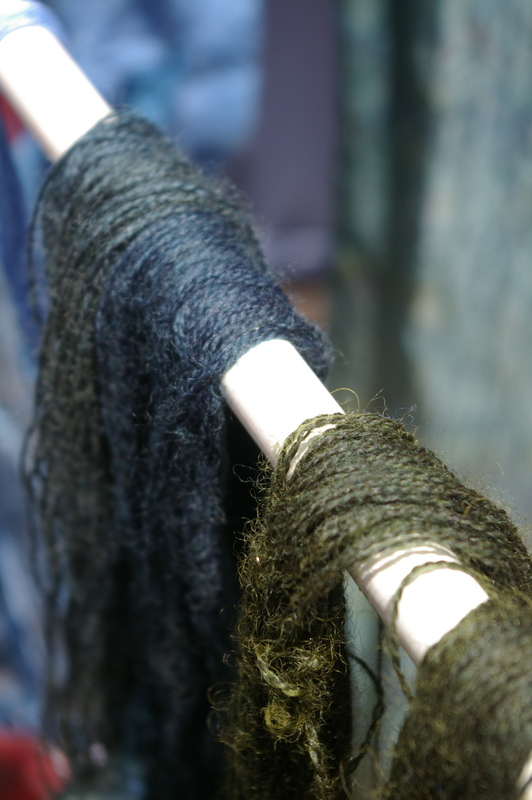 I’d been reading about the process of dyeing with indigo and the various methods of removing oxygen from the bath in order to allow the dye molecule to bond to fibres and wondering which we’d use- and it was the hydrosulphite vat method and powdered indigo, as it is the most easily replicated at home. Only slightly less exciting than extracting colour from the fresh plant itself, it really was as magical a process as I was imagining. 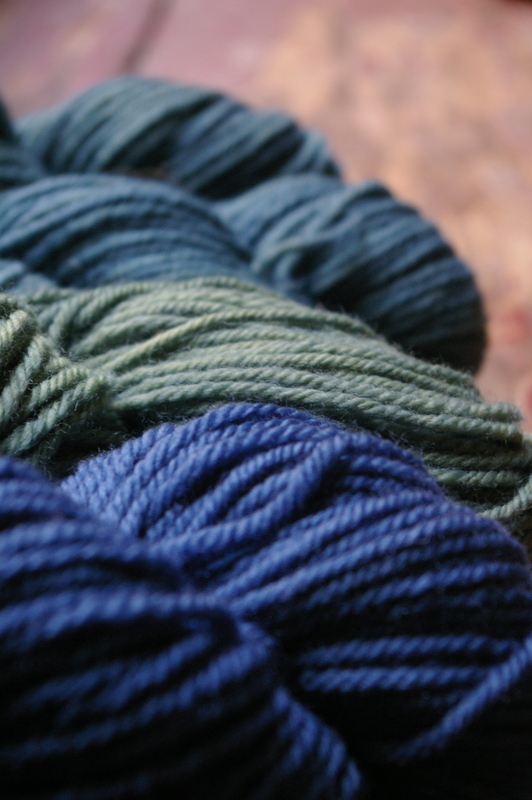 but, for most of us, it was all about the yarn. 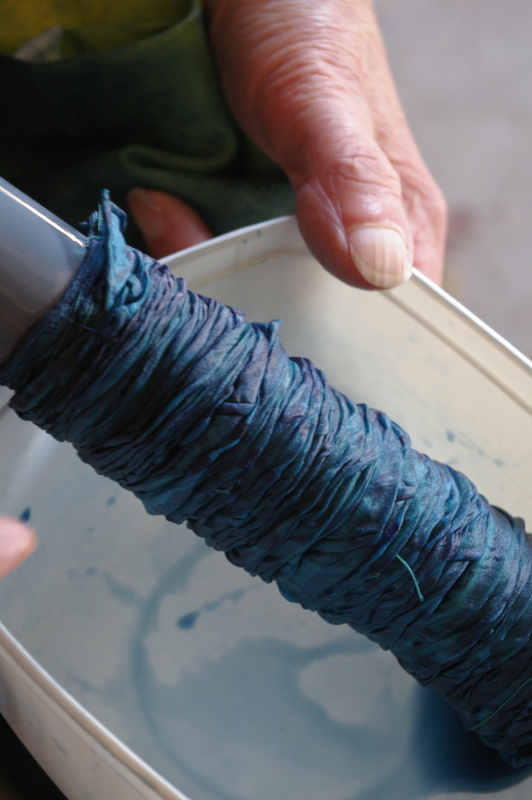 We also dyed with alizarin, which is the dye compound from madder. It has been commercially synthesized for industry use for many years and will be an interesting comparison to dyeing with madder root itself, something in the works for very soon. 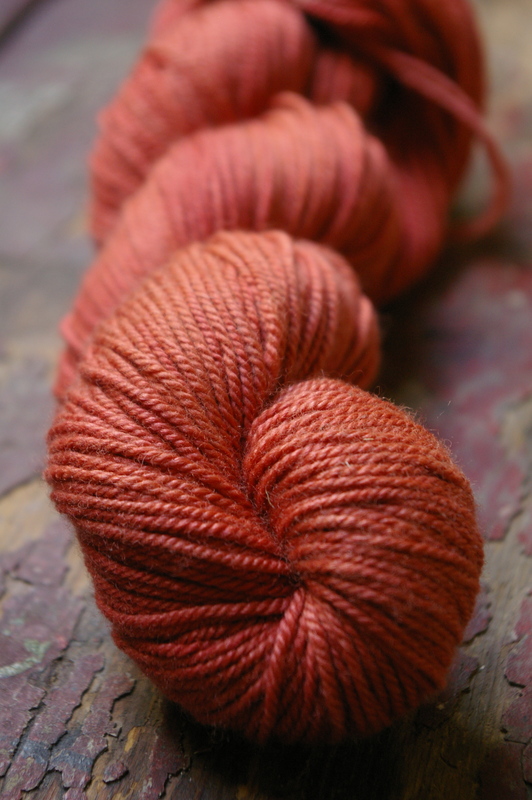 The resulting colour is a beautiful, subtle coral that is hard to capture! 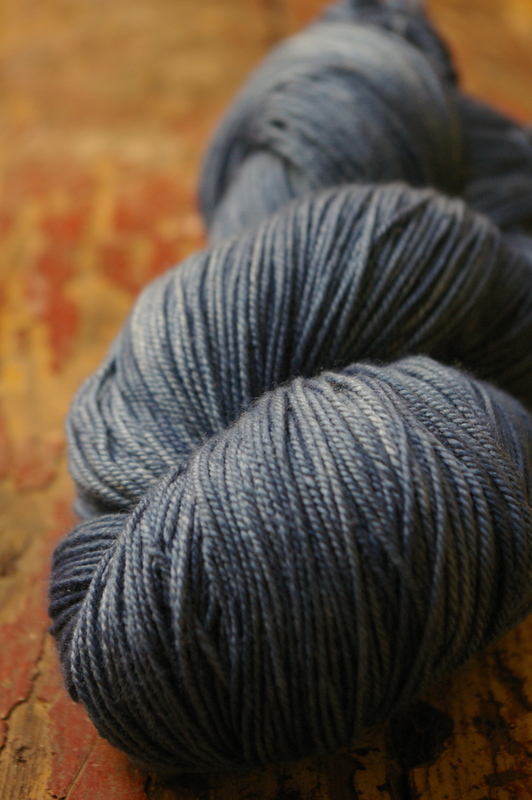 This entry was posted in dyeing, plants on November 21, 2011 by admin. 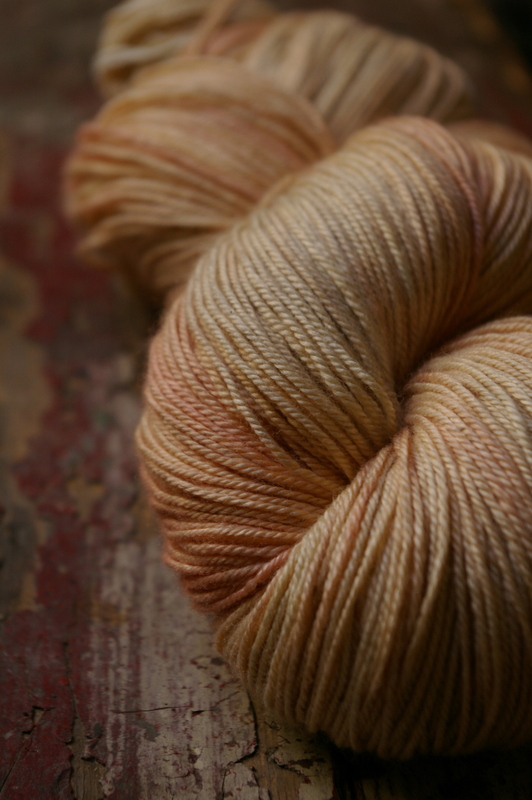 Playing with natural dyes is such lovely, unpredictable fun. I love your resulting yarn! I refuse to do it the stinky way (small place, sensitive partner) so hydrosulphite is the go. Magic, isn’t it!! !